Long natural fibre thermoplastic, injection-mouldable pellets are a composite of natural fibres (e.g. flax, hemp, jute) in a polypropylene matrix. They have been developed by Coventive as a cost-effective alternative to long glass fibre thermoplastic (LFT) products in, for example, automotive applications. Glass fibres are relative heavy, derived from non-renewable sources and cannot easily be recycled. By contrast, natural fibres are less dense than glass and have a lower environmental impact. They also have a similar stiffness to glass fibres. The pellet format and method by which they are produced also helps to preserve the reinforcing properties of the natural fibres; these are often compromised in other more aggressive compounding processes. The technology continues to be refined. Please contact us if you would like further details or to discuss how you might evaluate or deploy the technology. The pellets are typically a 50:50 mix by volume of natural fibres and polypropylene fibres. 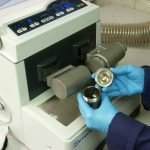 They are currently produced using Coventive’s in-house pilot line at a length of between 5 and 25 mm, depending upon the requirements of the user. 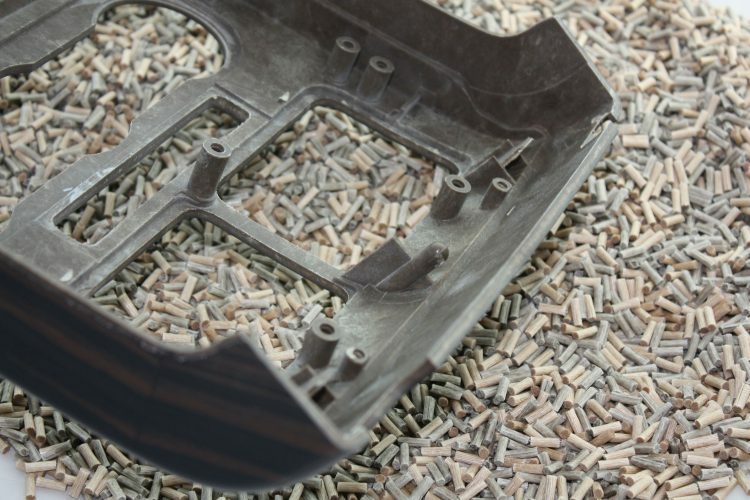 The pellets can then be injection moulded using standard equipment. Because natural fibres are less abrasive than glass, they also generate less tool wear. Multifunctional composites open-up some exciting possibilities for consumer goods - for example, unique aesthetics, electrically conductive polymers, composites with high heat transfer, and materials with self-sensing capabilities. Coventive is working to explore how composites and nano-composites can provide such capabilities.